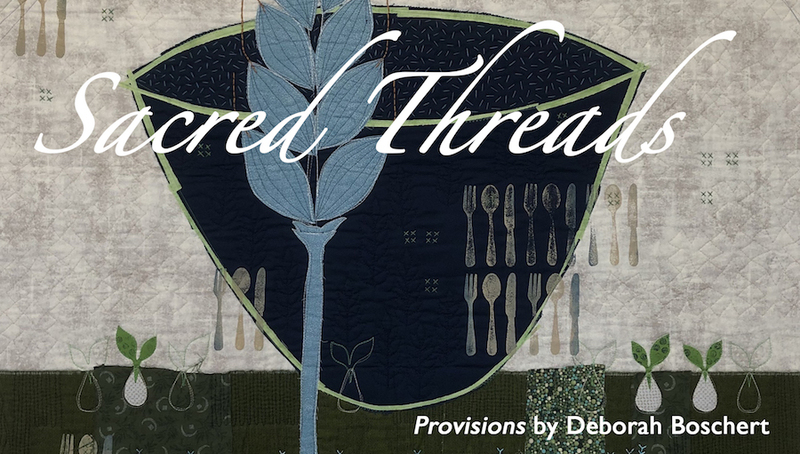 Enjoy our Sacred Threads Documentary featuring interviews with our founder Vikki Pignatelli, current committee members and many artists. Healing Quilts in Medicine Vidcast by Bonnie McCaffery with interviews by Vikki Pignatelli and Lisa Ellis. In partnership with the Quilt Alliance, we are pleased to share these video clips of Sacred Threads artists sharing their work. Grab a cup of coffee, a box of tissue, and enjoy this collection of moving stories. Sacred Threads is covered on Arts with Amy. Our segment begins at 11:20. 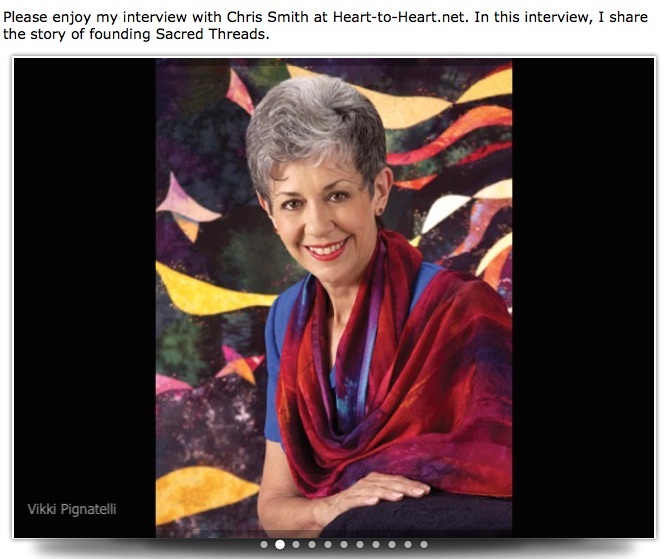 Shana Spiegal discusses her Sacred Threads 2011 piece. At the 2011 exhibit, thanks to videoograhper, Ron Harp, we captured several videos of the 2011 exhibit. Vikki Pignatelli discusses her 2011 piece "Against All Odds"
Click Here to visit Vikki's website and listen to the interview with Chris Smith.